New for 2007! 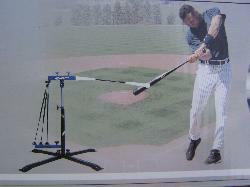 The Derek Jeter Hurricane Batting Machine. As Seen on TV! As Seen on TV! As Seen on TV! To see the latest and newest innovations in the baseball world. click here!